Ahh! I love the wrap bracelet---perfect. Can't wait to get one. Very nice bracelets - I like the leather ones. I went away for a few weeks and wasn't able to check your blog (i follow every day!!) and I wanted to know, did you post pictures about your apartment in NYC yet?? Im still dying to see it!! If you did, can you send me the link so I can see?? Love your new bracelets! I'm going to have to scoop up a few of those cuties. 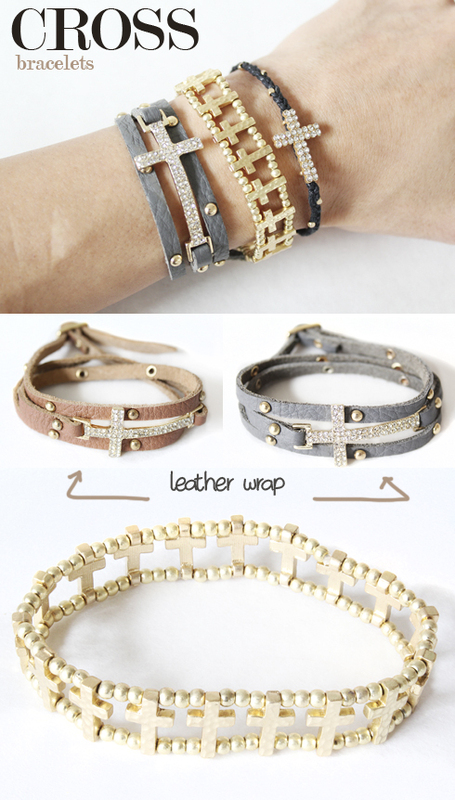 The leather wrap style it gorgeous! I am really loving all of the new items in the shop right now! I'm from Brazil, and i love your blog! do you ship here in the philippines? JANINE: Yes we ship all over the world.